The Chief Electoral Officer, Odisha has been quoted by ANI as saying that in six booths in Chitrakonda in Malkangiri district, zero voting was reported due to threats by Naxals. Threats by Maoists have affected polling in 15 booths in Malkangiri in Odisha. These booths have reported zero voting, CNN-News18 reported. Considering the ground-level presence of the party with the conch (BJD's symbol) — which according to a senior leader is 'a well-oiled, smooth functioning' organisation — and its performances in successive elections, the ruling BJD has a clear upper hand in this region. Barring the 'here-and-there' lapses, this region has always stood behind Chief Minister Naveen Patnaik. However, for the first time, the BJP is being widely perceived as a potential challenger to the BJD in this politically 'all-important' east coast belt. Dharmendra Pradhan severely castigated the Odisha government, and said it "could not keep Lord Jagannath's Ratna Bhandar's keys safely. 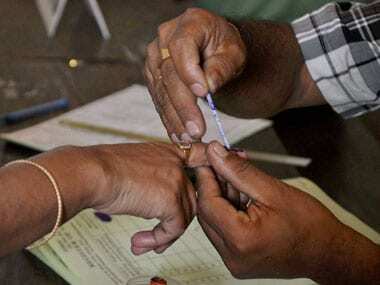 The Odisha Assembly election has seen a voter turnout of 57 percent till 3.30 p.m, The Times of India reported. In a major jolt to Odisha Congress, party spokesperson Sonali Sahoo quit on Thursday, expressing displeasure over ticket distribution for Assembly elections. Sahoo's exit comes two days after Pradesh Mahila Congress president Sumitra Jena resigned from the party, alleging irregularities in selection of candidates. Jena, who joined the ruling BJD, has accused Congress state unit president Niranjan Patnaik of discrimination against the women members of the party. Talking to reporters, Sahoo, who was a ticket aspirant from Khurda Assembly seat, said she has sent her resignation letter to Niranjan. "I quit the party as I was not happy with the way tickets were distributed for the state polls," she added. With two women leaders quitting the Congress over ticket alottment, the party's state unit chief clarified on Thursday that he "did not recommend any candidate for the Lok Sabha or the Assembly polls". Naveen Patnaik, Odisha chief minister and Biju Janata Dal president, appointed Bijay Nayak as party's general secretary on Thursday, reports said. Snags in EVMs were reported from Malkangiri and Chitrakonda areas under Nabarangpur Lok Sabha seat, Lamptaput and Jeypore in Koraput and Gopalpur, Digapahandi and Berhampur, PTI reported. PTI reported that to a query about voters boycotting election at Kotpad in Koraput district over some local problems, Odisha CEO Surendra Kumar said efforts were being made to convince them to exercise their democratic right. In a booth located atop a hill in an inaccessible area of Nuapada district, the poll personnel took quick steps to replace a defective EVM, Odisha CEO Surendra Kumar said. Odisha CEO Surendra Kumar, more than 6 hours into voting for the Lok Sabha and Assembly elections, said that technical glitches were noticed in Electronic Voting Machines (EVMs) and Voter Verifiable Paper Audit Trail (VVPAT) in several booths, but sectoral officers replaced the defective machines within 30 to 40 minutes. OTV on Thursday reported that the booths 6 and 8 in Temurupali under the Mathili block of insurgency-hit Malkangiri district saw zero voter turnout due to intimidation from Naxals. Reports said that several first-time voters were waiting in line to cast their votes at the Chhatrapur assembly constituency, reports said. The BJP national vice president and the party's Kendrapara Lok Sabha candidate, Baijayant Panda held a rally in Aul, even as the state votes in the first phase of the Assembly and Lok Sabha election. Odisha chief electoral officer Surendra Kumar said that the voter turnout till 1 pm on Thursday was recorded at 41 percent. Odisha chief electoral officer Surendra Kumar was quoted by reports as saying that the delay caused by technical issues in EVM was about 30-40 minutes, and added that the voting time will not be extended. He said, "There were some reports of technical glitches and voting began 30 to 40 mins behind schedule in those booths after necessary repairs; voting time will not be extended in these places, but voters in the queue will be allowed to cast their votes." The BJP's candidate for the Chikit Assembly seat, Manoranjan Dyanasamantray, was reportedly beaten up at the Jhatiapadar Booth-no 42, OTV reported. Odisha BJP leader Samir Mohanty also alleged that there was "rigging" at several booths in Chikiti. Union minister Dharmendra Pradhan, who has been at the helm of the BJP's campaign in Odisha, is addressing a rally in the state's Aska Assembly constituency, as the state is hours into the first phase of the Lok Sabha and Assembly election. Seven decades of Independence and other progress notwithstanding, a large section of the rural populace of Keonjhar district in Odisha is struggling for access to a basic survival need — safe drinking water. To make matters worse, this constituency, which has the maximum operational mines in the state, is also being ravaged by miners, who are minting money at the cost of natural resources. With not a single formal source of drinking water, the villagers are now used to drinking water directly from the pits they dig during summer and from other natural mountain streams nearby. The lone tube well in the village is also useless, as it churns out muddy and high-iron water, which is non-potable. A zilla parishad chairperson was among five injured after a car used for the BJP election campaign veered off the road near Pandiapali on the Sonepur-Biramaharajpur road in the state, OTV reported. Prime Minister Narendra Modi and BJP president Amit Shah are set to campaign in Odisha again on Friday, after the first phase of Assembly polls and Lok Sabha polls end in the state. Reports said that Shah will address a rally in Keonjhar on Friday, and Baramaba and Dhenkanal on 17 April. Modi will hold a public rally in the state capital Bhubaneshwar and in Sambalpur on 16 April. The ruling BJD on Tuesday released its manifesto for the Assembly elections and claimed that the party had fulfilled all the promises it made to people in 2014. Chief Minister Naveen Patnaik on Tuesday released his party's poll manifesto with emphasis on the socio-economic development of farmers, women and youths. The Odisha Congress on 7 April released its manifesto making a slew of promises, including a waiver of crop loans up to Rs 2 lakh per family and 33 percent reservation for women in government jobs, parliament and assembly. With a focus on farmers, youth, women, tribals and dalits, the 32-page document titled "Your Voice Your Choice" also promised to give Rs 72,000 each to five crore poor families under the 'Nyay' scheme as announced by the AICC. The BJP also released its manifesto on 7 April, promising a "corruption-free" administration in Odisha. The party also pledged several welfare schemes for women, farmers and tribals in its election manifesto named Sankalp Patra. The BJD government has declared Thursday as a holiday for government officials, reports said. The Patnaik family, spanning from Biju Patnaik to his son Naveen Patnaik, has occupied the chief minister's office in Odisha for close to four decades. The father-son duo are joined by Janaki Ballabh Patnaik in the list of the political leaders in the family. Biju held the office for seven years, from 1961 to 1963, and 1990 to 1995; Janaki Ballabh was chief minister for almost 15 years from 1980 to 1985, 1985 to 1989, and 1995 to 1999; and Naveen has been chief minister for 19 years since 2000, with four consecutive terms, reports said. The Berhampur Lok Sabha seat recorded 25 percent voter turnout till 11 am, Nabarangpur saw 21 percent, while voter turnout was recorded as 23 percent each in Kalahandhi and Koraput, reports claimed. CEO Surendra Kumar was quoted by reports as saying that 22 percent voter turnout was recorded till 11 am. Security has been tightened as Maoists have given a call for poll boycott, PTI reported. While polling will be held in most of the booths till 6 pm, in several Naxal-hit areas it will close at 4 pm and in some other segments at 5 pm. The first phase of polls will decide the fate of a total of 217 candidates. There are 26 hopefuls in fray, including two women, in four Lok Sabha constituencies, and 191 candidates, 16 of them women, in 28 assembly seats. Technical snags in Electronic Voting Machines (EVMs) caused a delay in the start of polling in around 50 booths in several places under Koraput, Nabarangpur, Kalahandi and Berhampur constituencies, an EC official said. Snags in EVMs were also reported from Malkangiri and Chitrakonda areas under Nabarangpur Lok Sabha seat, Lamptaput and Jeypore in Koraput and Gopalpur, Digapahandi and Berhampur, he said. Several voters returned from a booth at Godibali under Kashipur block of Rayagada district following delay in voting due to technical glitches in EVMs. As the Odisha Assembly election got underway, reports said that 666 voters of Bhejipadar village in Bhawanipatna constituency boycotted the election in protest against the local administration. They alleged that the government had failed to provide good quality roads. As voting for the first phase of Assembly and Lok Sabha election in Odisha completed three hours on Thursday, EC officials said that the voting process was ongoing in a "smooth" manner. However, technical glitches were reported in several constituencies. 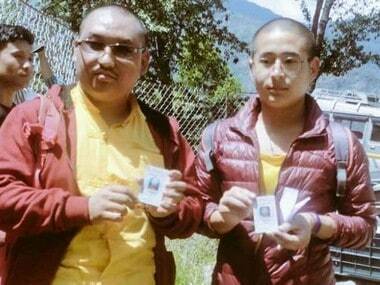 "Polling is in progress in a peaceful and smooth manner. There has been no untoward incident anywhere, though glitches in EVMs delayed the beginning of voting in some places. The snags were immediately corrected," PTI quoted an official as saying. Around 15 percent voting was recorded in the first three hours as polling was underway in four Lok Sabha seats and 28 assembly constituencies in the first phase of polls in Odisha on Thursday. Long queues of voters were seen at polling stations in Koraput, Kalahandi, Nabarangpur and Berhampur Lok Sabha constituencies and 28 assembly segments. Congress leader and MLA candidate from Jeypore, Tara Prasad Bahinipati cast his vote for the Assembly election on Thursday. The Biju Janata Dal (BJD) candidate from Jeypore, Rabi Narayan Nanda, cast his vote during the first phase of the Assembly election on Thursday. EVM glitches in several constituencies delayed the voting process in several constituencies, reports said. Chief Minister and BJD president Naveen Patnaik is contesting the Odisha assembly polls from two seats, Bijepur and his home turf Hinjili. Patnaik made the announcement on 15 March after releasing the first list of BJD candidates for nine of the 21 Lok Sabha and 54 of the 147 assembly seats in the state. The chief minister said he will contest the state polls from Hinjili in Ganjam district and Bijepur in west Odisha's Bargarh district. Elections in Hinjili and Bijepur will be held in the second phase of polling on 18 April. The Biju Janata Dal (BJD) chief's announcement came a day after he had hinted at contesting the upcoming assembly election also from a constituency in west Odisha. Reports quoted the Odisha chief electoral officer Surendra Kumar as saying that voter turnout was at seven percent till 9 am in the first phase of Assembly and Lok Sabha election in Odisha. The ruling BJD suspended party leader Sesha Kumar Meher of Boudh district for alleged anti-party activities, The Times of India reported. The development came as polling got underway in 28 Assembly seats and four Lok Sabha seats in Odisha. The Communist Party of India (Marxist) is contesting five Assembly seats in Odisha. Special security arrangements have been made in 2,375 critical and sensitive polling booths, while satellite phones provided in 810 booths, where there are no mobile or internet facilities. Paramilitary forces, police, flying squads, static surveillance teams, poll observers, videography teams and excise sleuths will be deployed in the constituencies. Union minister Dharmendra Pradhan, who has been at the forefront of the BJP's campaign in Odisha, said that the 2019 election will create a "paradigm shift" in Odisha's politics. In an interview with The Indian Express a day before the state was scheduled to vote in the Assembly and Lok Sabha election, Pradhan said, "Prime Minister Narendra Modi’s personal image, his decisiveness and the faith that the common people of Odisha have in him, will decide this election. He is the game changer of Odisha politics this time." Pradhan also lauded the Centre's schemes in the state. Locals in the Tetengepadar village, which falls under the Karlamunda block of Kalahandi district are boycotting the polls in protest. Their demands include the construction of roads in the area, reports said. 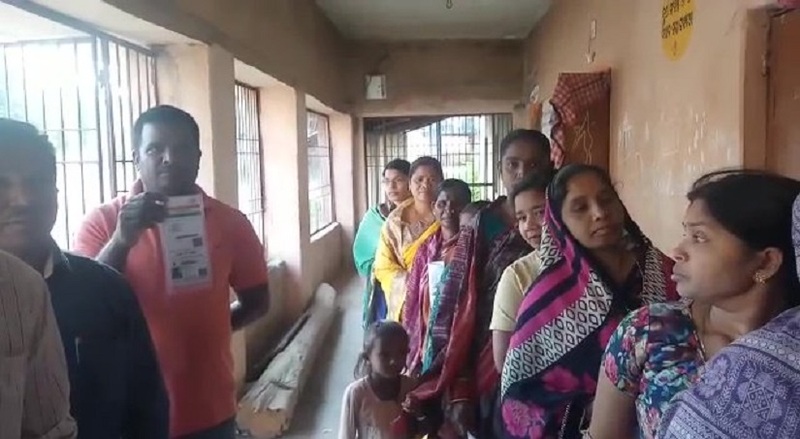 In the Kashipur block of Rayagada district, voters reportedly returned from the polling booths after a delay in voting due to glitches in the EVM machines, OTV reported. Around 47,805 polling personnel have been deployed to conduct the first phase of the polls, CEO Surendra Kumar said. He added that women staff have been deployed in 30 booths. As the voting in Odisha Assembly is underway, at least two helicopters were used to send polling officials to inaccessible and highly-sensitive polling stations in Malkangiri. Voters have lined up outside the polling booth in the Nuapara constituency. Senior Biju Janata Dal MLAs Surya Narayan Patro (Digapahandi), Usha Devi (Chikiti) , and Pradeep Panigrahy (Gopalpur) are looking for a re-election in Thursday's Assembly election. As election began for 28 Assembly seats in the first phase of the elections in Odisha, voting was delayed in several booths in Jeypore, Koraput, Malkangiri, and Chitrakonda constituencies. In Odisha, volunteers have been roped in to assist differently-abled voters as 28 Assembly seats go to polls in the first phase of the election. Reports also said that vehicles are being used to bring the voters to the polling stations. Prime Minister Narendra Modi made a strong pitch for re-election in Odisha in the run-up to the Assembly and Lok Sabha election. Along with the prime minister, BJP president Amit Shah also visited the state at least three times in the last two weeks and addressed the public. Be it the Biju Janata Dal, Congress or Bharatiya Janata Party, politics in Odisha has witnessing a lot of candidates who are in the fray for the state Assembly and Lok Sabha polls along with family members representing the same party. Odisha chief minister Naveen Patnaik-led BJD has fielded royal siblings Kalikesh Narayan Singh Deo and Arkesh Singh Deo from Bolangir Lok Sabha and Assembly seats. While Kalikesh is the sitting MP from Bolangir, his younger brother Arkesh is debuting in politics. Their father, Ananga Udaya Singh Deo was the Rajya Sabha MP from 3 April, 2014 to 3 April, 2018 from BJD. Something similar can be seen in Congress too. The party has fielded senior leader Narasingha Mishra and his son Samarendra Mishra in Bolangir. The voting for the first phase of elections for the Odisha Assembly began at 7 am and will end at 6 pm in at least eight constituencies, while people in 13 constituencies will be able to vote till 4 pm. Naveen Patnaik, Odisha chief minister and BJD president, has won four consecutive terms in office, but the 2019 Assembly election is likely to be the test for Patnaik. In the past, Patnaik has smoothly overcome anti-incumbency sentiments, but this election could be "the most difficult of his entire political career" with signs of strong anti-incumbency emerging for the first time, reports said. As far as media strength is concerned, the ruling Biju Janata Dal (BJD), clearly enjoys an edge over its opponents, the Bharatiya Janata Party (BJP) and Indian National Congress. Ahead of the Assembly election on Thursday, the EC team arrived in one of Odisha's sensitive areas, Kalahandi via boats. The Naveen Patnaik-led Biju Janata Dal currently occupies 118 Assembly seats, while the Congress and BJP have 16 and 10, respectively. The Independent and others have 3 seats in total. Claiming that BJD has fulfilled promises it made to people in 2014, Odisha chief minister Naveen Patnaik on Tuesday released his party's poll manifesto with emphasis on the socio-economic development of farmers, women and youths. BJD has named its manifesto as "Naveen Odisha, Sashakt Odisha" (new Odisha, strong Odisha) in which it promised that the Kalia scheme will continue for all farmers and landless agricultural labourers. Elaborate security arrangements have been made to ensure smooth polling and foil any attempt to disrupt the process in Maoist-affected areas, Chief Electoral Officer (CEO) Surendra Kumar was quoted as saying. Several areas in Kalahandi, Nabarangpur, Berhampur and Koraput Lok Sabha constituencies and 28 assembly segments falling under them are Naxal-hit. Incumbent Odisha chief minister and Biju Janata Dal leader Naveen Patnaik will seek a re-election for the fourth time. Women outnumber men in these constituencies as they form 30,30,222 of an estimated 60,03,707 electorate, while 29,72,925 are male. As many as 560 voters belong to the third gender for the first of the four-phase polls. The stage is set for over 60 lakh voters in Odisha, including more than 30 lakh women, to exercise their franchise in the first phase of polls for four Lok Sabha and 28 assembly seats on Thursday. Earlier in the day, long queues were seen at polling stations in Koraput, Kalahandi, Nabarangpur and Berhampur Lok Sabha constituencies and 28 Assembly segments. Earlier in the day, the Odisha Chief Electoral Officer said that technical glitches were noticed at several EVMs and VVPATs at several booths, but officers replaced the defective machines within 30 to 40 minutes, PTI reported. Phase I: Polling will be held in Kalahandi, Nabarangpur, Berhampur and Koraput Lok Sabha segments and Assembly seats under their jurisdiction on 11 April in the first phase. Phase II: Polling will be held in Bargarh, Sundargarh, Bolangir, Kandhamal and Aska Lok Sabha seats and Assembly seats under their jurisdiction in the second phase on 18 April. Phase III: Polling will be held in Sambalpur, Keonjhar, Dhenkanal, Cuttack, Puri and Bhubaneswar Lok Sabha segments and Assembly constituencies under their jurisdiction in the third phase on 23 April. Phase IV: Polling will be held in Mayurbhanj, Balasore, Bhadrak, Jajpur, Kendrapara and Jagatsinghpur Lok Sabha segments and Assembly constituencies under their jurisdiction in the fourth phase on 29 April. 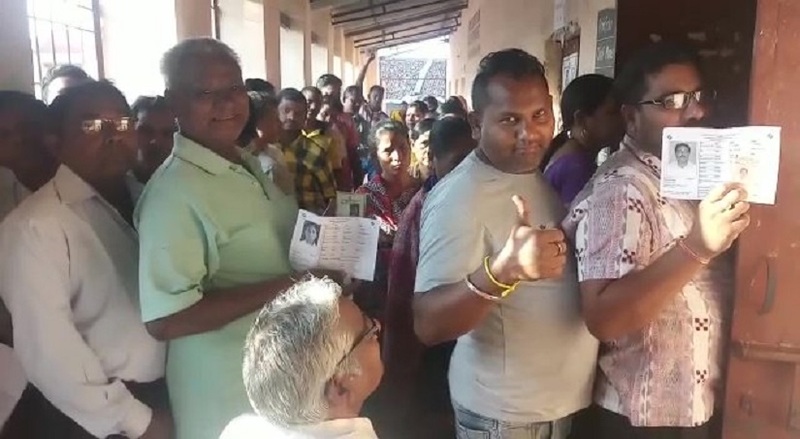 Odisha Assembly Election 2019 Voting LIVE Updates: Threats by Maoists have affected polling in 15 booths in Malkangiri in Odisha. These booths have reported zero voting, CNN-News18 reported. Reports on Thursday said that the booths 6 and 8 in Temurupali under the Mathili block of insurgency-hit Malkangiri district saw zero voter turnout due to intimidation from Naxals. Odisha chief electoral officer Surendra Kumar said that the voter turnout till 1 pm on Thursday was recorded at 41 percent. The Patnaik family, spanning from Biju Patnaik to his son Naveen Patnaik, has occupied the chief minister's office in Odisha for close to four decades. The father-son duo is joined by Janaki Ballabh Patnaik in the list of the political leaders in the family. CEO Surendra Kumar was quoted by reports as saying that 22 percent voter turnout was recorded till 11 am. Around 15 percent voting was recorded in the first three hours as polling was underway in four Lok Sabha seats and 28 assembly constituencies in the first phase of polls in Odisha on Thursday. Long queues of voters were seen at polling stations in Koraput, Kalahandi, Nabarangpur and Berhampur Lok Sabha constituencies and 28 assembly segments. The Biju Janata Dal (BJD) candidate from Jeypore, Rabi Narayan Nanda, cast his vote during the first phase of the Assembly election on Thursday. Congress leader and MLA candidate from Jeypore, Tara Prasad Bahinipati cast his vote for the Assembly election on Thursday. EVM glitches in constituencies in districts like Kalampur and Junargarh delayed the voting process in several constituencies, reports said. Reports quoted the Odisha chief electoral officer Surendra Kumar as saying that voter turnout was at seven percent till 9 am in the first phase of Assembly and Lok Sabha election in Odisha. Special security arrangements have been made in 2,375 critical and sensitive polling booths, while satellite phones provided in 810 booths, where there are no mobile or internet facilities. Paramilitary forces, police, flying squads, static surveillance teams, poll observers, videography teams and excise sleuths will be deployed in the constituencies. Voters in the Tetengepadar village, which falls under the Karlamunda block of Kalahandi district are boycotting the polls in protest. Their demands include the construction of roads in the area, reports said. Helicopters used to send polling officials to sensitive areas in Malkangiri. As the voting in Odisha Assembly is underway, at least two helicopters were used to send polling officials to inaccessible and highly-sensitive polling stations in Malkangiri. More than 60 lakh, including over 30 lakh women voters, will exercise their franchise in the Assembly polls in Odisha on 11 April. The Odisha Legislative Assembly has 147 seats. 191 candidates, including 16 women, are contesting from the Assembly constituencies. Out of the 60,03,707 voters, 30,30,222 are women, 29,72,925 are men and 560 belong to the third gender. The prominent parties in the state are Chief Minister Naveen Patnaik-led Biju Janata Dal (BJD), BJP and Congress. The BJP’s campaign will be led by union minister Dharmendra Pradhan and former BJD leader Baijayant Jay Panda, while Niranjan Patnaik will be among the popular faces from Congress. Over 47,000 polling personnel will conduct the first phase of the Assembly polls, the other phases of which will be conducted on 18, 23 and 29 April. Women personnel will be deployed in 30 booths, while satellite phones will be provided in 810 booths where there are no mobile internet facilities. After the killing of a BJP MLA and four others in a Naxal attack in the neighbouring Chhattisgarh, special arrangements have been made in 2,375 critical and sensitive polling booths. Security has been tightened in Malkangiri and Koraput and polling officials will be sent to highly sensitive polling stations in Malkangiri by two helicopters. Preparations for polling in the opening phase reached the final stage, and necessary steps have been taken to ensure free, fair and peaceful elections to be held in 7,233 booths, said Chief Electoral Officer (CEO) Surendra Kumar. Elaborate security arrangements have also been made to ensure smooth polling and foil any attempt to disrupt the process in Maoist-affected areas, he said. Several areas in Kalahandi, Nabarangpur, Berhampur and Koraput Lok Sabha constituencies and 28 assembly segments falling under them are Naxal-hit, an official said. While polling parties have already been dispatched to their respective stations, security has been tightened mainly in Malkangiri and Koraput districts to thwart any bid by Maoists to derail the poll process. At least two helicopters are being used to send polling officials to inaccessible and highly-sensitive polling stations in Malkangiri, Kumar said. "We have taken required security measures to provide necessary protection for the voters during election," DGP In-charge B K Sharma said. Around 47,805 polling personnel are being deployed to conduct the first phase of the polls, the CEO said, adding, women staff have been deployed in 30 booths. Paramilitary forces, police, flying squads, static surveillance teams and poll observers will be deployed. On 11 April, the constituencies in Kalahandi, Nabarangpur, Berhampur and Koraput regions will vote.